If you work on a construction site, you will know that they can be very dangerous places, while the issue of health and safety has become much more prominent over the last few years. Indeed, construction sites generally have a large amount of heavy machinery operating as well as temporary structures which could collapse. Furthermore, hazardous materials are prominent on construction sites, while tall buildings require employees to work at great heights. Therefore, if you are thinking of visiting or working on a construction site, you will need to purchase specific clothes for this type of work. Indeed, there are a number of legal obligations about the types of clothes that employees must wear on a construction site. If you follow these simple tips you can buy the correct type of clothes to make sure you conform to the dress code regulations which operate on your construction site. One of the most important things that you can buy if you want to work on a construction site is a good pair of steel toe-capped boots. Indeed, construction sites generally have large or heavy loads moving at all times, meaning that an employee’s feet are generally at risk all the time. If you purchase a pair of strong steel toe-capped boots you can protect your feet from collisions or from heavy objects being dropped on them. 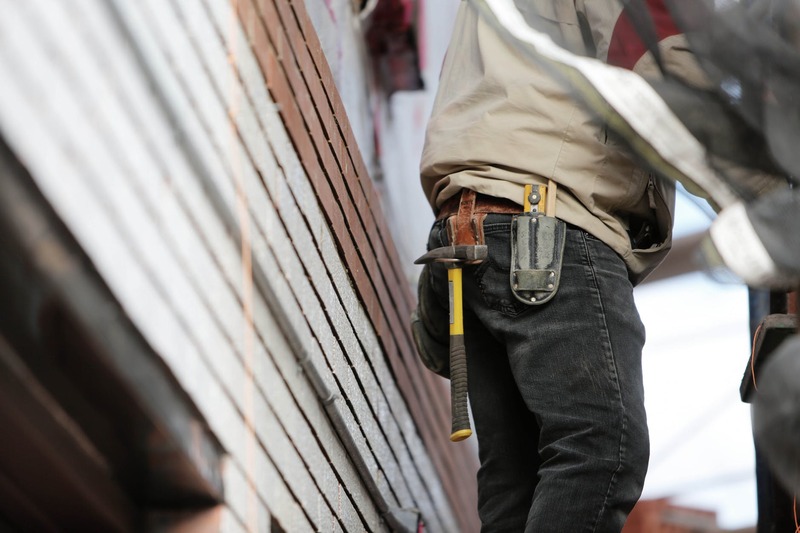 Choosing the appropriate type of builders work clothes and boots is important, especially if you may need extra ankle support and strong soles as a result of the various conditions which happen on a building site. Waterproofing is another important consideration when choosing a pair of boots as it can prevent discomfort as a result of water seeping in as well as stop excessive cold. Make sure you also choose a pair of warm or thermal socks which can also help to reduce your discomfort on a construction site. If you regularly work on a construction site, you will know that wearing shorts is generally not a good idea, especially in the middle of winter. However, in some times of extreme heat, wearing shorts could be a good idea. Instead of choosing a pair of shorts, you should make sure you have a hard wearing and warm pair of trousers which can protect your legs from the weather as well as from other hazards. If you will be working close to the ground you may also think the addition of kneepads is essential for a pair of trousers that you will wear around a construction site. If your job on a construction site entails working outside it is important to keep dry and warm. You should think about buying a number of layers which will trap heat during the day while also having a waterproof layer on top is essential to keep you dry. However, your choice of sleeves is generally a personal preference. However, you should consider purchasing both short and long sleeve shirts which can be interchanged depending on the temperature and your personal preference for working. Another of the most important elements of a construction worker’s clothes is a high-visibility vest which is a legal obligation, along with a hard hat. Therefore, if you want to work on a construction site, you should think about visiting your local firm of suppliers today who can supply you with the right clothes for the job. Make sure you are correctly kitted out with the right work clothes before stepping onto any construction site.